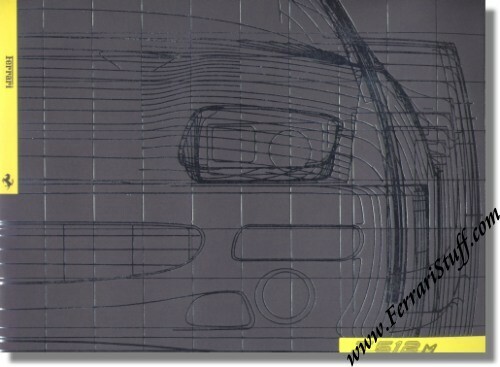 1994 Ferrari F512 M Press Kit. This press kit was issued at the Palm Beach introduction of the F512M in the USA and only a VERY limited number of these were distributed. This official Ferrari Press Kit contains 24 pages and has 8 color slides in the back pocket. Ferrari Print Number 897/94, issued in 1994, printed by Puntografico spa Brescia, Italy.